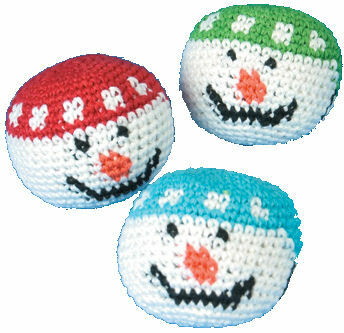 Knitted Kick Balls with 3 snowman head designs. 4 of each color - red, blue & green. Each 2 inch ball is filled with small plastic pellets. 12 hacky sack/foot bags.